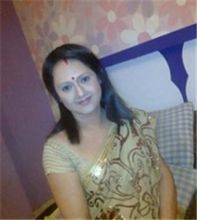 Kashmiri Saikia Baruah is an Assamese film and stage actress. She was born in Mangaldoi, Assam. She has played stellar roles in award winning Assamese films such as Putola Ghar, Sandhya Raag, Agnisnan and Xagoroloi Bohudoor. Why Book Kashmiri Saikia Baruah Through ArtiseBooking?